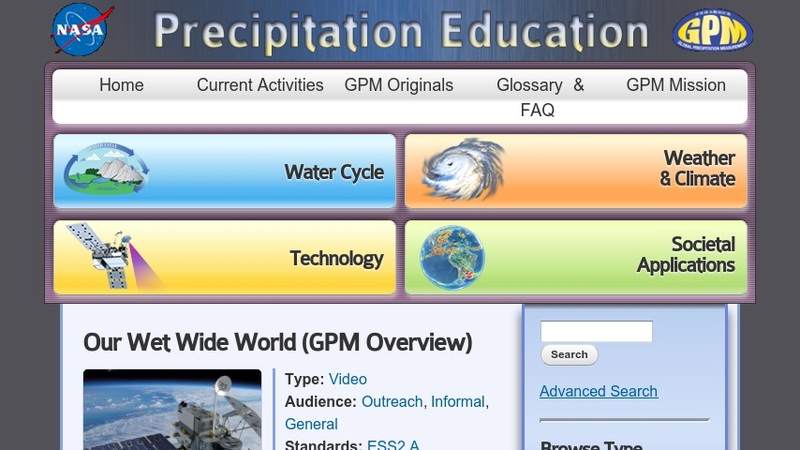 This short video (4:06) provides an overview of the Global Precipitation Measurement (GPM) mission. This mission will set a new standard for precipitation measurements from space by joining forces with countries around the world, to provide precipitation data from nine different satellites, creating the GPM Constellation. NASA has partnered with the Japan Aerospace and Exploration Agency (JAXA), space agencies in France and India, and the operators of meteorological satellites in Europe and the United States to make this multi-nation mission possible.